The UK has a fantastic range of horse riding routes just waiting to be explored. Whether you’re looking for a relaxing ride, beautiful scenery or for a challenging trail, it’s time to start planning your next equestrian trip. We as horsebox insurance specialists understand that all riders have different levels of experience. To help you find the right location we’ve picked out some top horse riding places for you to discover. This place has it all from miles of scenic landscape to challenging trails. With a size of over 360 square miles Dartmoor National Park is huge with plenty of potential to explore. There’s a range of routes from the High Moor for experienced riders to woodland trails and bridleways if you’re looking for a gentle trot. You’ll be able to access byways linking to towns and villages. There’s also pubs along the route with water and tie rail facilities if you fancy stopping for some lunch or a drink. Based in the stunning highlands of Scotland, Rothiemurchus has a fantastic family run pony trekking and hacking centre. There’s a mixture of beginner, intermediate and experienced level hacks. With a superb variety of moorland, hills and pine forest riding. Not forgetting the wildlife you could see which could make for great photo opportunities during any breaks from riding. Rothiemurchus is an ideal place to come on a horse riding holiday. If you’re looking for accommodation, check out Rothiemurchus Camp and Caravan Park on our campsite finder. Boasting over 600 miles of bridle tracks and paths the Brecon Beacons is a horse rider’s paradise. You can experience the stunning scenery and wealth of wildlife whilst in the saddle. Ride across acres of unspoilt natural beauty from hills and moors to fields, you’ll be spoilt for choice. If you’re an experienced and confident rider on the lookout for a good hacking trip then look no further than the Brecon Beacons. It’s the perfect place to escape the busy city life and spend quality time with family and friends. Situated alongside the magnificent Menai Straits with fantastic coastal views of Caenarfon Castle and Snowdon is Anglesey Riding Centre. If you’re looking to ride a horse for the first time, this is the perfect place to do it. Adults and children can learn how to ride in private 5 mile bridleways. Experienced riders can also find plenty to challenge them here too if they’re looking for a new adventure. If you’re looking for somewhere to stay close by, check out Fron Caravan and Camping Park on our campsite finder. Running from Winchester to the cliffs of Eastbourne the South Downs Way is a 100 mile challenge ready for you to tackle. Whether you’re looking for a gentle trot by a country lane or a long hack on to the Downs it’s a fantastic riding experience. There are long routes that can keep you off the road for hours or even potentially days. If you’re looking for a test, then this trail certainly provides that particularly higher up. It’ll be worth the effort as you’ll be rewarded with superb views and stunning countryside if you don’t mind the hill work. You’ll find plenty of scenic villages, wildlife and pubs along the way should you wish to stop and explore or have a drink. There are a series of water taps and troughs on the route should your horse become thirsty. 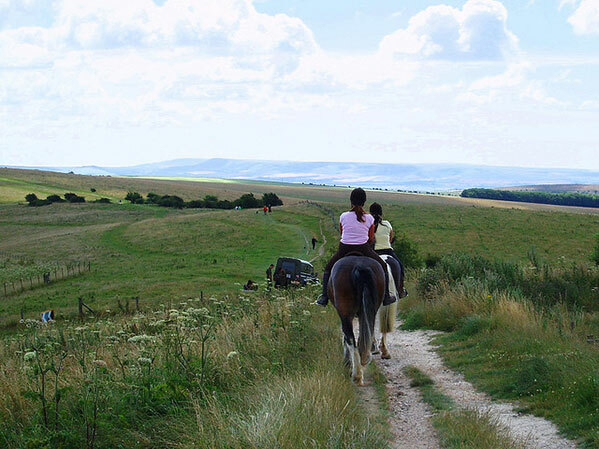 If you’re bringing your own horse, there are horsebox friendly car parks that will provide you access to the South Downs way but you’ll need to check which ones allow this before you arrive. Well marked and mostly off road, this trail provides a variety of horse riding, from gentle rolling landscape to the more challenging hills with miles of fantastic riding to be enjoyed. The Pennine Bridleway was purposely built for horse riders, mountain bikers and walkers. It connects the Peak District, South Pennines, Yorkshire Dales and the county of Cumbria. Along the route there is horsebox parking including shelter and a watering point, just make sure you check where these are located before you make the journey. 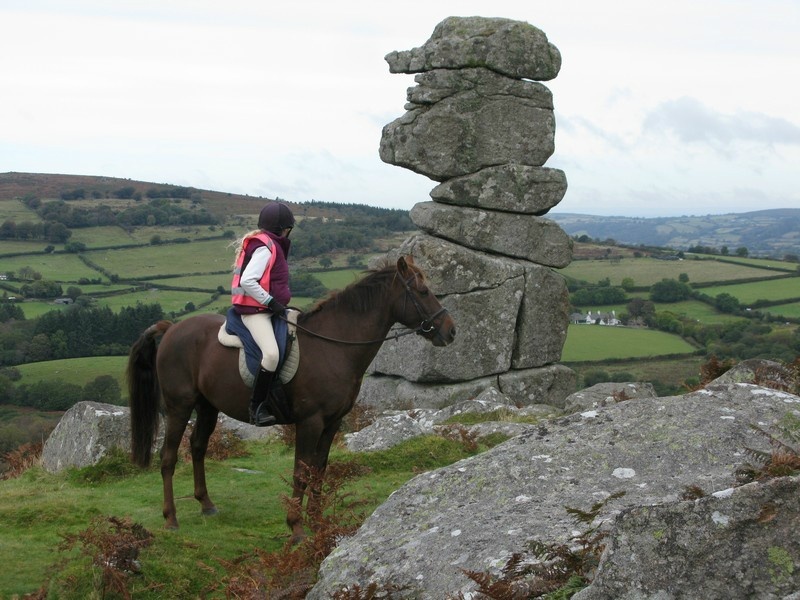 Do you know of any other top places to ride horses in the UK? Let us know on Facebook and Twitter. Is this the campervan of the future?